A 2-alarm fire at a Laurel apartment building Saturday morning left displaced 32 people from their homes. The fire was reported about 12:45 a.m. and burned through part of the roof of the 3-story building on Kay Court. 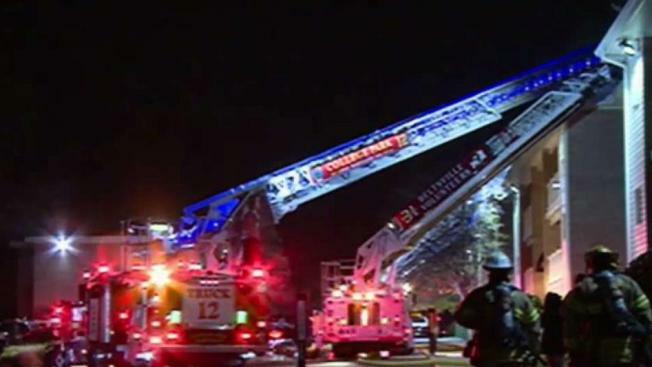 Prince George's County fire officials say the fire originated near a utility room in the attic. Six children were displaced along with 26 adults, Prince George's Fire officials say. The cause is under investigation. No one was reported injured. 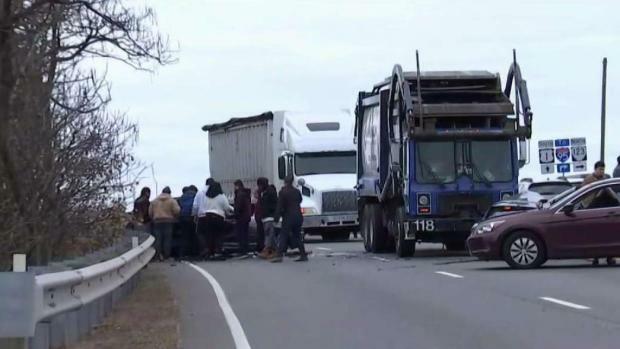 Several people rushed to the scene of a violent crash in Virginia. Cory Smith reports. The fire caused $75,000 in damage.